Periodontics deal in the treatment of your gums as well as the supporting tissues that surround your teeth. Gum disease, also commonly called gingivitis, occurs when bacteria in your mouth inflames the gums causing them to become red and swollen. If left untreated gingivitis can advance into the much more serious periodontitis. Periodontitis causes the inner layer of gum and bone to pull away from teeth forming pockets leading to infection, permanent gum and bone damage, and tooth loss. If you begin to experience any of these symptoms, you may need to undergo a periodontical treatment. There are a wide array of treatments available to you depending on the stage of the disease and your overall health. These treatments range from non surgical therapies that work to control bacteria growth, to reconstructive surgeries that aim at restoring your supportive tissues. To determine which treatment is appropriate for you, please schedule an appointment with one of our specialists. 1. Professional Dental Cleanings. Professional cleanings are recommended at least twice a year. During a typical check up your dental hygienist will remove the plaque and tartar build up from above and below your dental gum line. If signs of gum disease persist, it may be recommended to have a professional cleaning more often than twice a year. 2. Scaling and Root Planing. This is a deep cleaning, non surgical procedure where plaque and tarter are scraped away from above and below the gum line. Rough spots on the tooth are them made smooth to prevent bacteria from building up again and to provide a clean surface for the gums to reattach to the teeth. 4. Pocket Reduction Surgery. A surgical procedure where the gums are lifted and tarter is removed. Damaged bone is then smoothed to prevent future build up and allow for gum regeneration. Reducing the space between tooth and gum reduces the area where harmful bacteria can grow. 5. Soft Tissue Grafts. 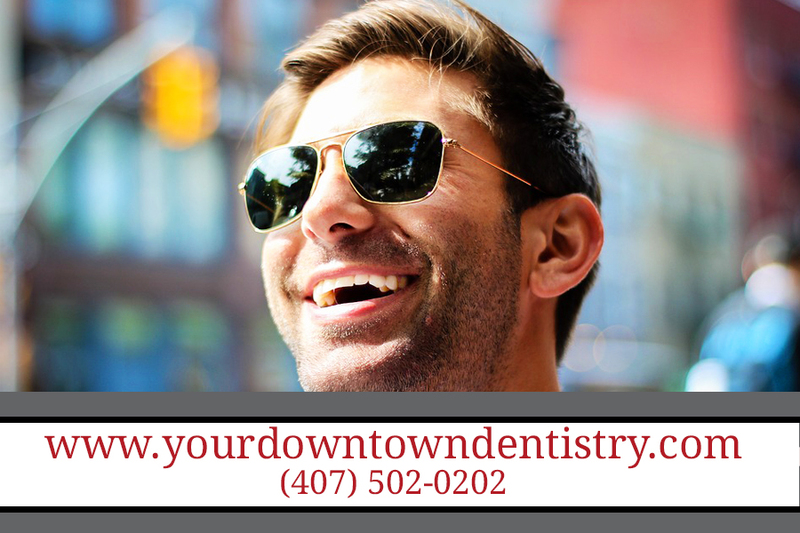 By using grafted tissue, most often taken from the roof of the mouth, this procedure is able to reinforce thin or receding gums providing added stability for your teeth. There are a number of other treatments available to deal with the problems associated with gingivitis and periodontitis.